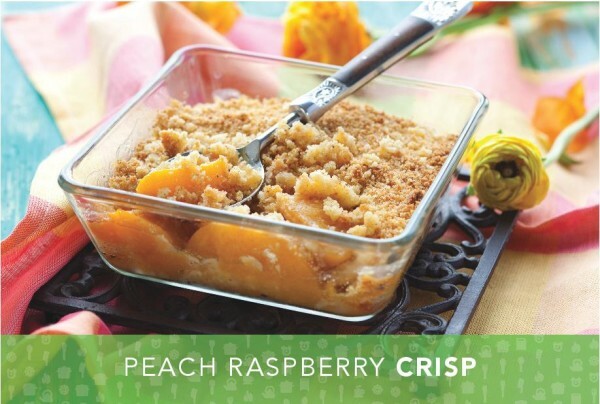 Check out this delicious peach raspberry crisp recipe that the whole family can enjoy! To prepare filling, combine peaches, raspberries, and lemon juice in a large bowl; toss to coat. Place the filling in the prepared baking dish. Cover with foil. Bake for 20 minutes. Meanwhile, make topping. Mix flour, oats, coconut sugar, cinnamon and salt in a medium bowl with a fork. Add butter and blend with a pastry blender or your fingertips. Add oil and stir to coat. Add orange juice and blend with your fingertips until the dry ingredients are moistened.